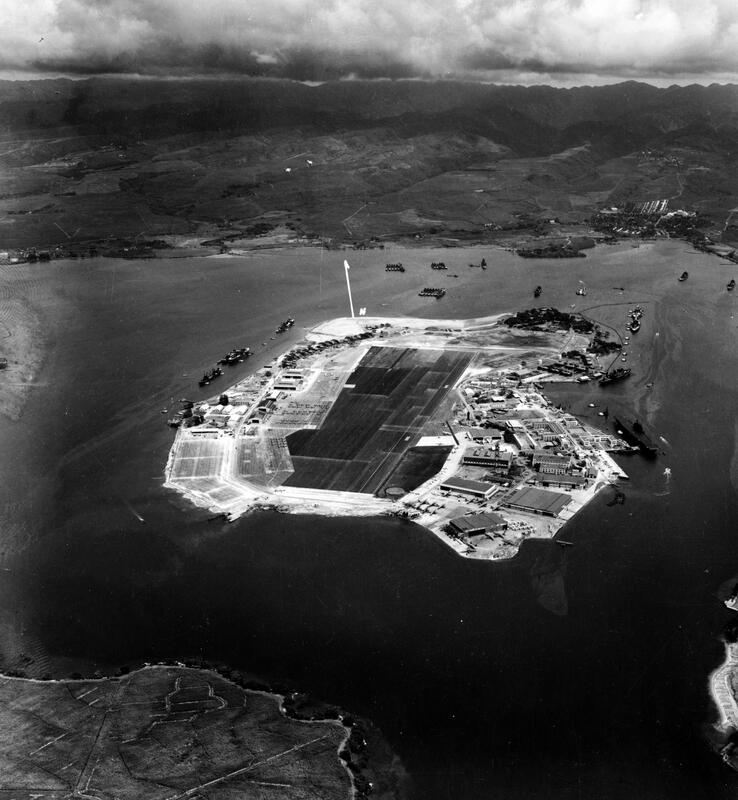 » Ford Island, Pearl Harbor, Oahu, US Territory of Hawaii, Oct 10, 1941. Carrier Enterprise and Repair Ship Curtiss are moored alonfside Ford Island on the right of the photograph. This photograph has been scaled down; full resolution photograph is available here (4,554 by 4,936 pixels).